Okay, now this is the most COMFORTABLE shoe I have worn. Ever. Yes, I wrote 'comfortable' in caps for extra impact. And 'ever' in italics. THAT'S how good they are. Oops, there goes a 'cap' again. I was fortunate to be gifted the new FitFlop Dué to trial - it's the new addition to the FitFlop family. You know the FitFlop, right? The first FitFlop sandals were launched in 2007 after Dr David Cook and Darren James – both biomechanists at London's Southbank University – collaborated with Marcia Kilgore (businesswoman and busy mum) to create 'Microwobbleboard Technology', the world’s first muscle-activating 'flip flop'. 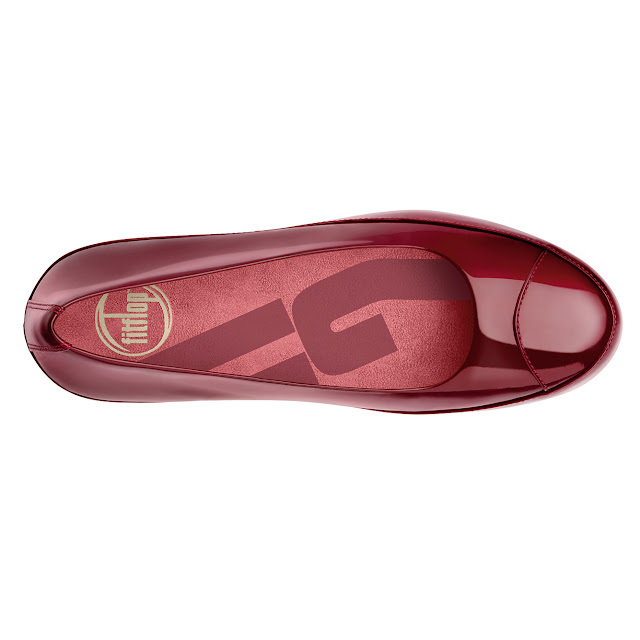 The FitFlop is renowned for its ergonomically-designed, pressure-diffusing, multi-density midsole which delivers SUPER comfort [caps AND italics this time! ], while helping to increase the time that your muscles are engaged every single time you take a step. For more on how they actually work, click here. And now, the Dué is engineered with FitFlop's new triple-density 'Biomimetix' midsole and feels as good as it looks. Seriously. The first shipment of Dué into the US and UK sold out in days. It's the first ballet pump from FitFlop and it's now here in Australia. Okay, so FitFlop gave me a styling challenge. Anyone who knows me will know that's music to my ears. They asked me what I'd wear my cherry-red Dué ballet pump with. That was easy: my brand new rose gold Blessed Are The Meek metallic top I scored Gosh Celebrity. My faithful, Forever New perfect-blue jeans. 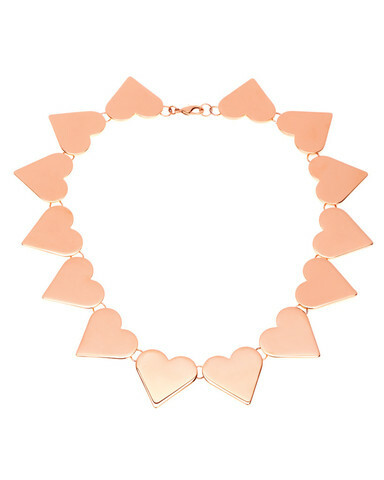 And this Coco Ribbon heart-motif necklace. Do you like? 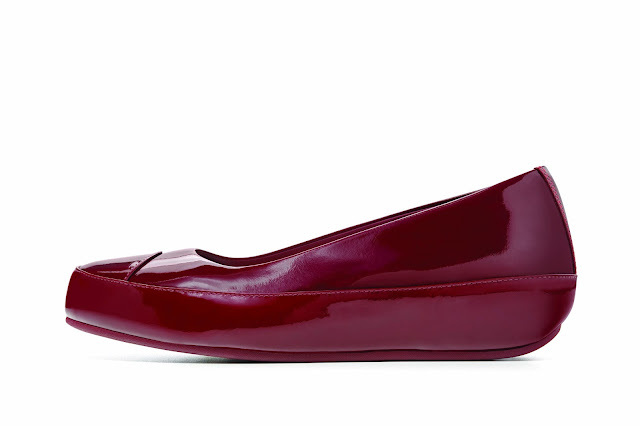 The Dué is RRP $199.95 - $219.95 depending on the finish and colour, and is available in leather in black; and in patent leather in hot cherry [pictured], inky blue, and black. For more on the FitFlop brand and stockist details, click here. Oh yes... you can win a pair also! Yes. One lucky 'Josie's Juice' reader will win a pair of the new FitFlop Dué.